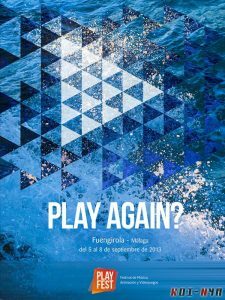 Fuengirola will host the II PlayFest, the Festival of Music, Animation and Videogames which will be landing in September in the town, making it a must for fans of these three areas so related to each other. The event takes place from 5 to 8 September and it is a unique event dedicated to one of the fastest growing industries nowadays and will bring together artists, composers and leading companies to participate in master classes, lectures, projections and concerts, among other proposals. The festival is the only worldwide event reaching Fuengirola with the intention of remaining fixed base for the coming years. If the festival thrives Fuengirola and Málaga province, it will be an international leader in the gaming industry, a world that has already exceeded in volume the cinema business. Among the proposals of the festival will be included workshops for young composers, master classes, lectures and projections.